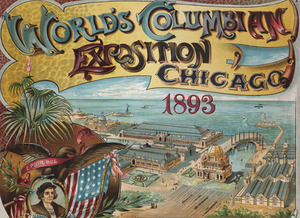 World's Columbian Exposition, Chicago, 1893, I. N.p. : n.p., 1893. To the right, the cover of one of four simple but sturdy tableaux. They whisk us back a hundred years to the 1893 World's Columbian Exposition in Chicago, an event whose cultural significance still resonates. Requiring multiple runs through the press, these books combine the art of the chromolithographer and the skill of the draftsman. Their strength and durability speak to the values of this newly constructed "White City," a symbol harking back to the classical roots of American democracy and looking forward to the imperialist expansion of a thriving modern nation. Each book displays the names of the exhibition halls, names which reinforce America's place as a rapidly growing industrial giant. 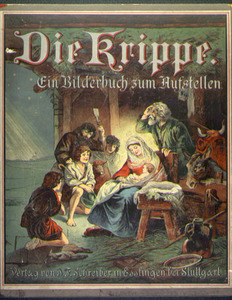 Die Krippe: Ein Bilderbuch zum Aufstellen. Esslingen bei Stuttgart: J. F. Schreiber, [1880s]. A striking example of a large-scale tableau, this book contains a foldout scene of the Holy Family and creates a dazzling panoramic effect. By making only the worshippers three-dimensional, the piece emphasizes spectators and includes us with the traditional onlookers, even at the expense of hiding "die krippe" in the background. The expectation of a receptive market must have justified the labor involved in making a piece with such high production costs. 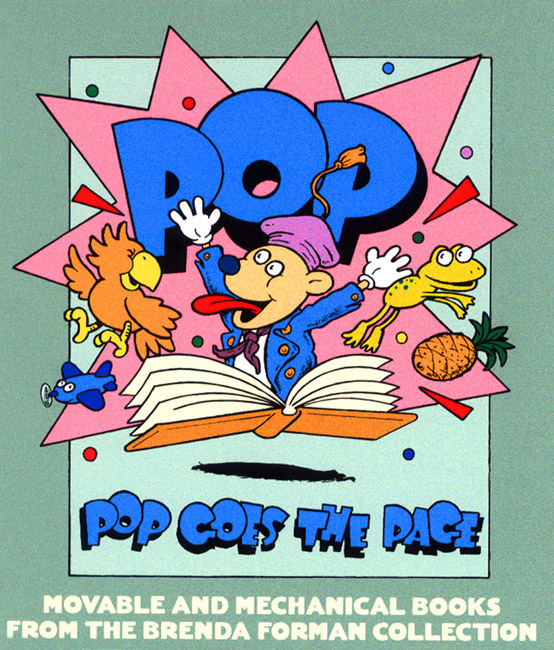 The ever-popular appeal of Christmas themes, whether centered on secular or religious iconography, secured such a market and explains the large number of Christmas-oriented pop-up books. Hauff, Wilhelm. Der Kleine Muck. Illus. Wigg Siegl. Munich: Wilhelm Geppert, [1950s]. German writer Wilhelm Hauff was the creator of "Little Mook." He had a brief but highly successful career as a popular writer of fantastic tales up to his death in 1827, at the age of 24. 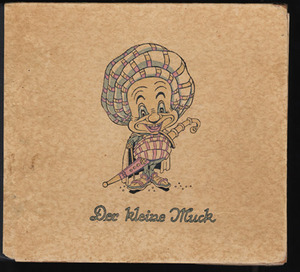 In this edition, the illustrator Wigg Siegl gives a distinctive, even grotesque, visual form to the main character. Autumn. Little Showman's Ser. 2. New York: McLoughlin, 1884. Winter. Little Showman's Ser. 2. New York: McLoughlin, 1884. These larger tableaux instruct as well as delight by depicting the seasons of the year in an iconography familiar to children in the temperate climates of Western Europe and the Northern United States. Each scene gently, but firmly, articulates the social mores and expectations of the day. For example, in Autumn, the reader learns that "...being sad is being silly/You should be a happy boy." As such, the books inscribe and affirm a cultural history in their presentation of domesticity. Even in their moments of play and leisure, the children learn gender roles and class expectations, becoming socialized into family life. Boys climb trees and girls rock cradles. Spring. Little Showman's Ser. 2. New York: McLoughlin, 1884. Summer. Little Showman's Ser. 2. New York: McLoughlin, 1884. Likewise, the distinctions between the natural world beyond the windows and the domestic civility within contain subtle, but persuasive, demonstrations of a finely wrought social order, a structure in which children learn "...don't catch cold/And make poor nursie scold." The visual symbols--fall leaves, snowy drifts, golden sunshine--aggressively promote a seasonal pattern which permits no other climates or geographies. On loan from William Muller. Love practically jumps off the page in these charming tableaux. Although smaller and more fragile than books, the valentines shown here unite lovers through the standard tableau techniques of die-cutting and hand assembly. With their red hearts, cupids, blue birds, roses, and mild-mannered children, the cards speak love in every sentimental way. Ionicus, illus. 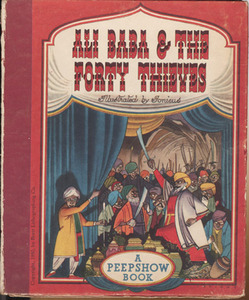 Ali Baba and the Forty Thieves. London: Folding Books; Boston: Houghton Mifflin, 1950. Unlike the majority of the pieces in this section, this book contains several tableaux within its bound structure. The deep architectural spaces with their intricate vistas and interiors provide the setting of this classic exotic tale. It is a landscape well suited to the tableau format. The spine of the book provides the vanishing point for the elaborate maze of pathways and hallways, while the foreground figures take full advantage of the theatrical framing devices of curtains, trees, and Moroccan arches.